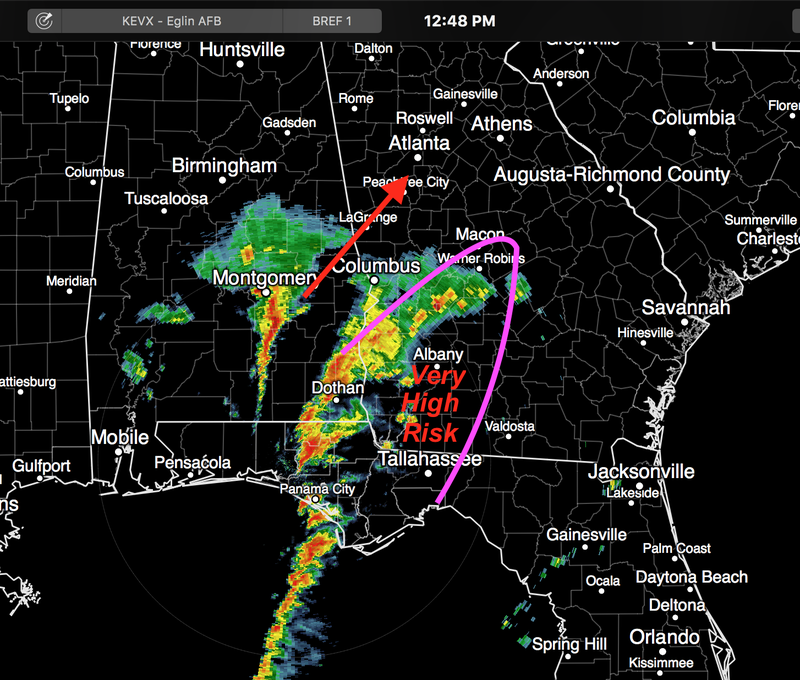 Here is my forecast of the highest risk between now and 3pm EST. The storms are moving as fast as 60 mph -- so you won't have much time to take shelter. So, if I were in the purple area, ahead of the storms, I'd be gathering up the kids/infirm relatives and would be monitoring the weather closely. 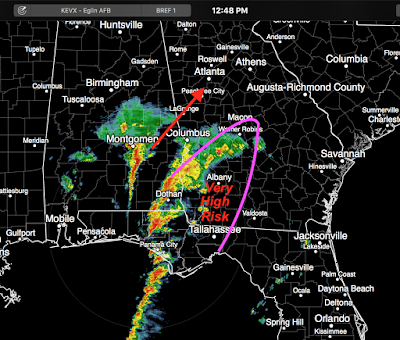 For Atlanta, there is a second line of storms well to the southwest but could reach the area later this afternoon.